I am in awe of my mother's thrifting gift. She finds the most amazing treasures. 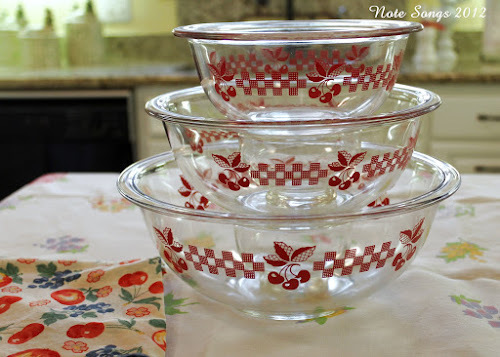 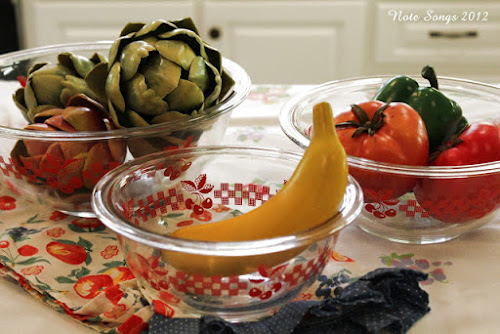 This week she found a mint condition set of three Clear Pyrex Checks and Cherries bowls. 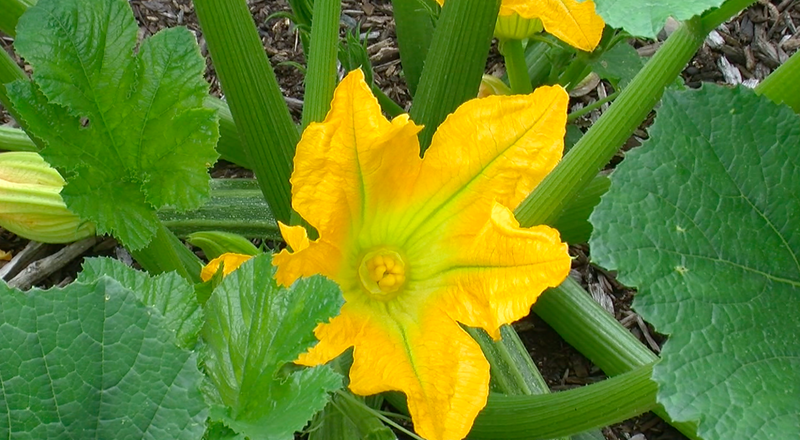 They are rare and worth about $200.00 CDN.